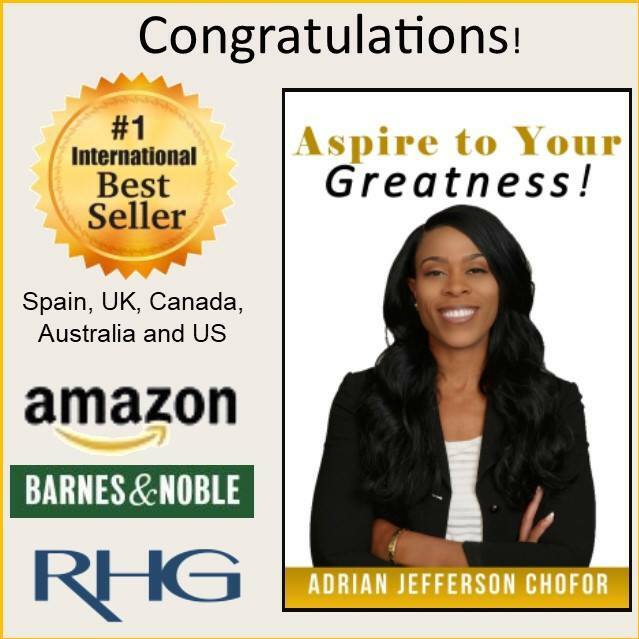 My name is Adrian Jefferson Chofor, I am a global mobility lifestyle expert helping people that want to live abroad and currently living abroad do so strategically and successfully. I am also a personal transformational strategist and speaker, helping those in my community to live their best lives. I had the privilege of co-authoring Step Forward and Shine! the third and final book in the Shine series and when I was presented the opportunity to write my story, I was inspired to do so because I thought about how when I was younger I wish I could have met a woman like myself that would have told me things were going to be alright. After prayerful consideration, I knew writing this book was something that I was called to do. I want the readers to know they can overcome obstacles, made stronger by the struggle, and love themselves for who they truly are, not what others may think of them. My book touches so many areas of my life, I would say this has broadened the range considerably. I delve into challenges I experienced as a teen that made poor choices, a twenty-something year old early in my career, a thirty something year old moving abroad and later having a difficult pregnancy. I share experiences that are universal and not age or gender specific, such as making major life changes in moving overseas or the power of forgiveness and its profound impact on my life and those of others. I would have to say, because of the subjects covered in my book, its difficult to narrow the audience down to only one demographic.